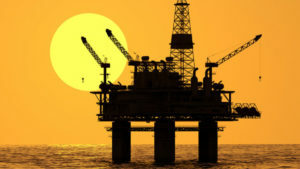 The Cabinet of Ministers of Ukraine on April 12 announced a tender to develop the Dolphin Black Sea shelf section under the product sharing agreement (PSA). Government resolution No. 70 dated April 12, 2019 has been published in the Uriadovy Kurier government’s newspaper. The term of the PSA is 50 years. The winner of the tender must provide a geological survey of the subsoil at the site, including the drilling of at least five wells during the first stage (five years) of geological exploration. The minimum investment that must be made in this period will be determined by the results of the tender, but must be at least UAH 1.5 billion. The maximum part of compensation products, thanks to which the investor can be compensated for his expenses, is 70% of the total volume of production. The share of the state in profitable products should be at least 11% of its total volume. In order to promote the holding of a fair tender, persons who have special permits to use subsoil but do not properly implement the subsoil programs are not allowed to participate in the tender. As reported, the initiative to develop the Dolphin section belongs to Frontera Resources, engaged in the exploration and production of gas and oil. 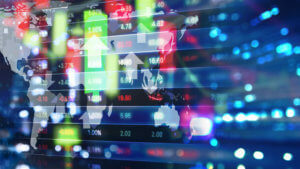 Germany’s Robotron Datenbank-Software GmbH and a consortium of developers consisting of Siemens AG (Austria), Siemens Ukraine, Siemens AS (Germany), Omnetric GmbH (Norway) and IP Systems Informatikai Zartkoruen Mukuodo Reszvenytarsasag (Hungary) will take part in a tender to develop DataHub software for the power commercial accounting administrator, the press service of national energy company Ukrenergo has reported. “Evaluation of the offers will be held in accordance with the principles and rules of procurement of the International Bank for Reconstruction and Development [IBRD, which financed the project]. Evaluation results are subject to mandatory coordination with the bank,” the company said in the report. As reported, a total of 14 companies bought papers for the tender as of middle of March. Initially the tender to create DataHub was announced on September 19, 2017. The tender failed to take place due to the absence of high-quality bids. The repeated tender was launched on September 18, 2018 after the review of tender documents and their approval by the International Bank for Reconstruction and Development, which finances the project. The date of opening bids was postponed several times under requests of bidders, Ukrenergo said. According to the power commercial accounting code, Ukrenergo is the power commercial accounting administrator on the retail market, which new model was launched on January 1, 2019. The DataHub is a centralized platform to ensure the data exchange with a single database of the commercial accounting points. Currently distribution system operators and state-owned enterprise Energomarket fulfill this function without the proper software. 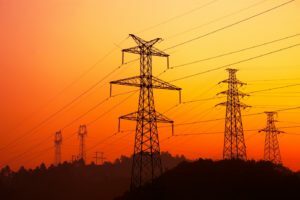 Municipal enterprise Voda Donbasu has announced a tender to supply 356 million kWh of electricity with the approximate cost of UAH 954 million (UAH 2.70 per kWh with VAT on average). 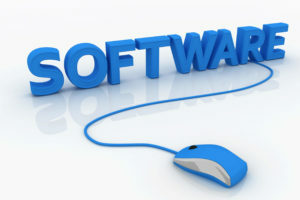 The announcement was made in the ProZorro e-procurement system on March 26. The auction is scheduled for May 31. At the end of March, the permitted period, allowing Voda Donbasu to receive electricity from the supplier of last resort (state-owned enterprise Ukrinterenergo), to which it can be paid ex post, will expire. Debt of Voda Donbasu for electricity at the end of 2018, according to the National Commission for Energy, Housing and Utilities Services Regulation (NCER), amounted to UAH 2.438 billion, and from the beginning of the year it increased by UAH 181 million. 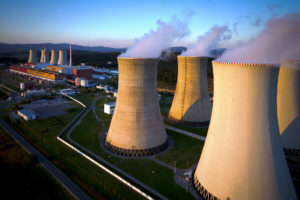 The state specialized enterprise Chornobyl Nuclear Power Plant (NPP) has announced a tender to dismantle unstable structures of the Shelter facility (the old confinement over the destroyed fourth station power unit) with the expected total cost of UAH 2.547 billion, according to data in the ProZorro electronic procurement system. The deadline for submitting bids is April 15, the auction will take place on May 21, the deadline for providing services is December 20, 2023. 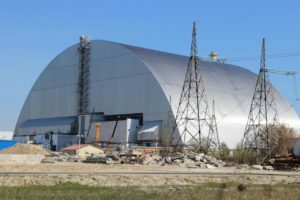 As reported, a new safe confinement, the construction of which began in 2012 after extensive preparatory work at the site, was pushed over the old Shelter. Due to the large size of the confinement, it had to be built in two parts, which were raised and successfully connected in 2015. Inside the confinement arch, a crane is installed to dismantle the existing old confinement and the remnants of the fourth power unit. The new safe confinement has a design working life of 100 years. Its construction cost EUR 1.5 billion.